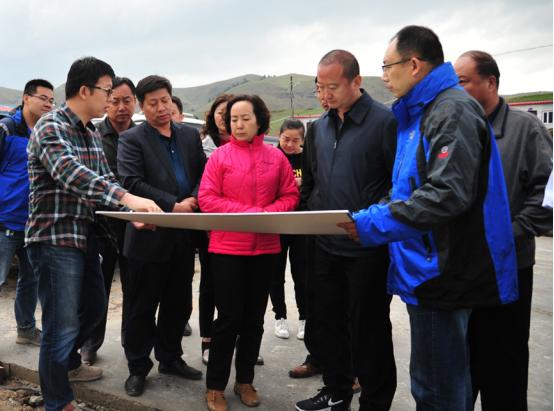 During the visit, leaders from Qitai County highly praised the spirit of the site workers. Under the leadership of Dr. Wang, they have done great jobs in such tough conditions. County Committee said that they would give great supports on the QTT project constructions. Related leaders: Vice secretary of Qitai county committee, Wu Di, Deputy county head of Qitai, Ma Jinshan, and leaders and staffs from XAO.